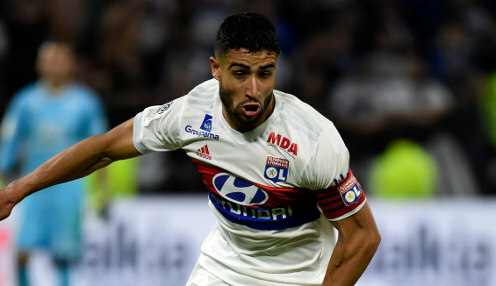 Lyon head coach Bruno Genesio is confident that forward Nabil Fekir will be a big player for the club this season, despite seeing a summer move to Liverpool fall through. The 25-year-old France international, who was a member of the squad who triumphed at World Cup 2018, seemed certain to move on after more than a decade on the books of Les Gones, only see a deal fail to be completed. I haven't seen any attitudes or signs that make me think he won't live up to his role the way he did last year. He has yet to feature for Lyon in Ligue 1 this season, but could return to the fold for the visit of Strasbourg on Friday evening, with Genesio admitting: "It is never easy accepting this kind of situation, when you are very near to signing for a club where you want to go. "Where you want to reach another level and to give a boost to your career. "But it could have been worse for him. He is at Lyon, at a strong club, he is captain of a team who plays in the Champions League. "This could be a very important season for Nabil and I haven't seen any attitudes or signs that make me think he won't live up to his role the way he did last year." Lyon finished in third place in Ligue1 last season, with Fekir scoring 18 times in the league for Les Gones. This term they have opened up with a 2-0 home win over Amiens and a 1-0 defeat at Reims and Lyon are 1/5 to finish in the top three come the end of the season, with Monaco priced at 1000/1 and Marseille 10/1.